Dawn Staley is the only person in USA Basketball history to have earned both the USA Basketball Athlete of the Year (1994 and 2004) and National Coach of the Year (2015 and 2018) awards. In recognition of her leadership of the gold medal winning 2018 USA Basketball Women’s World Cup and 2018 USA Basketball Women’s National teams, Dawn Staley (South Carolina) today was announced as the 2018 USA Basketball National Coach of the Year. 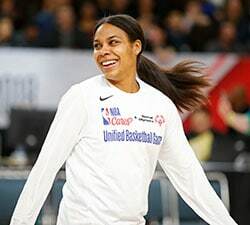 Staley not only led the USA to a 6-0 record at the 2018 FIBA World Cup held Sept. 22-30 in Tenerife, Canary Islands, Spain, she also became the first person in women’s FIBA World Cup history to win a gold medal as a player, assistant coach and head coach. The finish also qualified the U.S. women for the 2020 Olympic Games. This is the second such honor for Staley, who shared the award with Sean Miller in 2015. Staley is the only person in USA Basketball history to have earned both the USA Basketball Athlete of the Year (1994 and 2004) and National Coach of the Year awards. Since 1996, USA Basketball has awarded its National Coach of the Year honor to a USA Basketball head coach, who during the year of the award, made a significant impact on the success of individual athlete and team performance at the highest levels of competition in a manner consistent with the highest ethical, professional and moral standards. 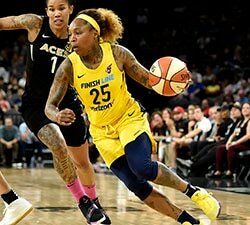 The USA won its six World Cup contests by an average of 20.3 points per game and beat previously undefeated Australia 73-56 in the gold medal game. 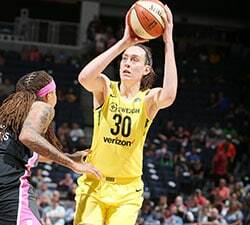 The USA’s well-rounded effort featured five athletes who averaged double-digit scoring, including tournament MVP Breanna Stewart, who was joined on the all-tournament team by Diana Taurasi. Among the 16-team tournament, the USA produced the top two games for points, scoring 102 points against Latvia and 100 points against China, which was a game that also saw the U.S. shoot a tournament-best 57.6 percent from the field. Further, the USA led the field for scoring (87.7 ppg. 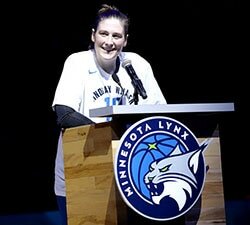 ), scoring margin (20.3), field goal percentage (.464) and 3-point field goal percentage (.359); and was second for free throw percentage (.822), rebounding margin, blocked shots (4.17 bpg.) and assists (23.7 apg. ).